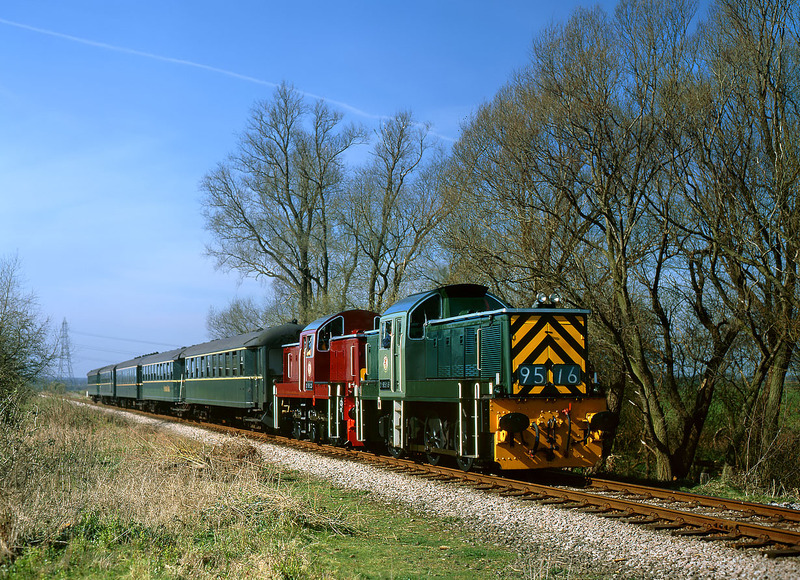 D9516 & D9523 (in its unauthentic maroon livery) pass Castor on 19 March 2000 with the 12:00 Wansford to Peterborough service, during the Nene Valley Railway's Diesel Gala. While no Class 14 ever carried maroon livery in normal service, neither did they ever haul coaches like these! Note that D9516 is displaying its number in the headcode box.